What is sustainable housing about? A sustainable home is more than just a catch phrase. It is a comfortable, low-impact, modern, money-saving investment in your future. A sustainable home responds to its climate and surrounding environment. It uses water, electricity, and other resources more efficiently which results in a cheaper to run and less wasteful home. There are many different definitions for "sustainable", which can get confusing. The term originally applied to natural resource use with a long term focus. Today, it applies to many disciplines and aspects of life. We host a series of fact sheets and links that have been developed specifically for tropical Northern Queensland. Discover how you can make your home more sustainable with our series of fact sheets on sustainable housing specifically for tropical North Queensland. The sustainable housing guides provide useful information on building orientation, harnessing cooling breezes, shading out the heat, landscaping, building material and insulation, as well how to enhance outdoor living. The sustainable housing information kit provides ideas for improving existing homes and designing new homes to be more energy-efficient and climate responsive. The kit consists of six guides that consider the various aspects of a home design. The guides will help you reduce the impact that your home has on the environment and make it more cost-effective in the long term. The guides in this kit provide ideas for improving existing homes and designing new homes to be more energy efficient and climate-responsive. Including these aspects into the home will lessen its impact on the environment and be more cost-effective in the long term. examples of house designs with good orientation on sites with varying solar aspects. the multiple benefits provided by ceiling fans. reduce the temperature in and around your home. help your home to cool down quickly at night. convert 'transitional spaces' into breezeways. For more information, please phone 13 48 10 or contact the Heritage and Urban Planning Unit on 13 48 10. We have collated a range of useful website to help you save energy and water. This page provides a range of links to various government endorsed programs. You can also visit our Plumbing and Drainage site for information on greywater use facilities to help you recycle water safely for you use in your garden. Ergon Energy's website provides advice on how to save energy in your home. Browse their energy saving tips. There is also information about products to save you energy and money. The Department of Climate Change offers a wide range of advice on reducing your and your community's overall energy use and greenhouse gas emissions. The website provides a range of useful links and publications. The Department of Environment and Heritage Protection offers free, independent information and advice on household energy efficiency and renewable energy. The website hosts a range of useful information covering topics from household design, rebates and financial incentives and information on creating sustainable neighbourhoods. The E3 Equipment Energy Efficiency website makes it easier for consumers to make informed decisions on the products they buy. This site lets you compare running costs of appliances and provides tips for an energy efficient household. 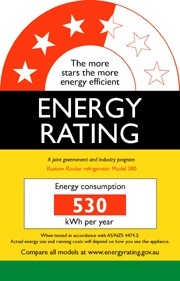 You can also find out what the Australian Government is doing about Energy Efficiency. The Queensland Government Waterwise website has a range of useful tools including the Waterwise plant selector. The site also offers a range on information on Waterwise gardening, being Waterwise at home and creating a Waterwise workplace. 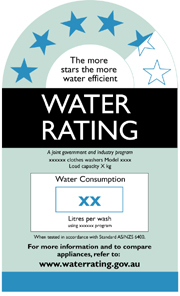 Water Efficiency Labelling and Standards (WELS) scheme allows consumers to compare the water efficiency of different products. The site provides a number of guides for households on selecting water efficient dishwashers, showerheads, taps, toilets and washing machines. There are a number of great examples of sustainable housing in Townsville. The below downloads demonstrate that sustainable housing can be adjusted to a variety of different situations and lifestyles, whether it be a new home, a residential apartment or a renovation. Not only do the case studies demonstrate how you can save energy, water and money, they also show the high standard of living that is possible by living sustainably. The Echlin Street Apartments won two awards at the Regional Royal Australian Institute of Architects Awards 2006. Further advice and direction to specific information regarding building, buying or renovating sustainably in tropical North Queensland can be obtained by contacting Planning and Development on 13 48 10.